I have been waiting and waiting for this variant to come out. I knew about it a few months ago, but haven't been able to find anywhere to order it. 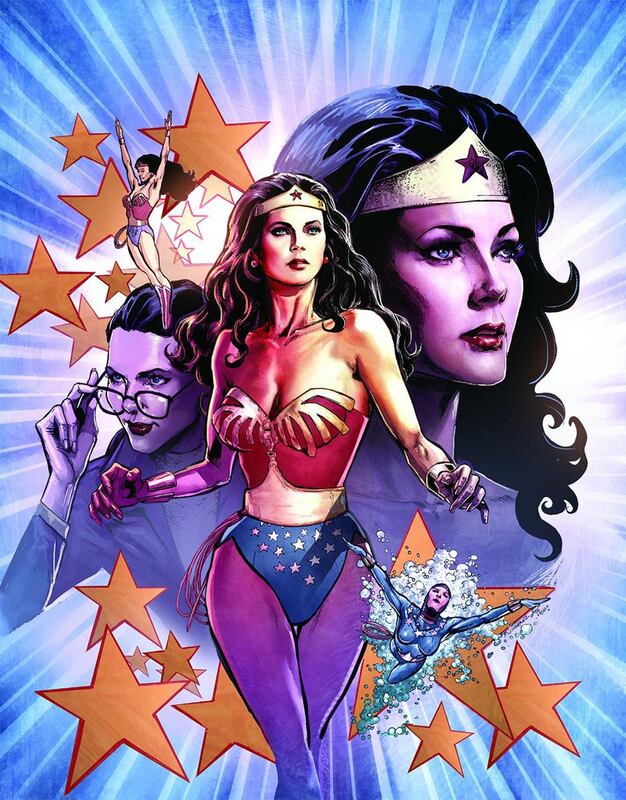 The new Wonder Woman '77 book is based on the television show and Linda Carter's exploits as Wonder Woman. 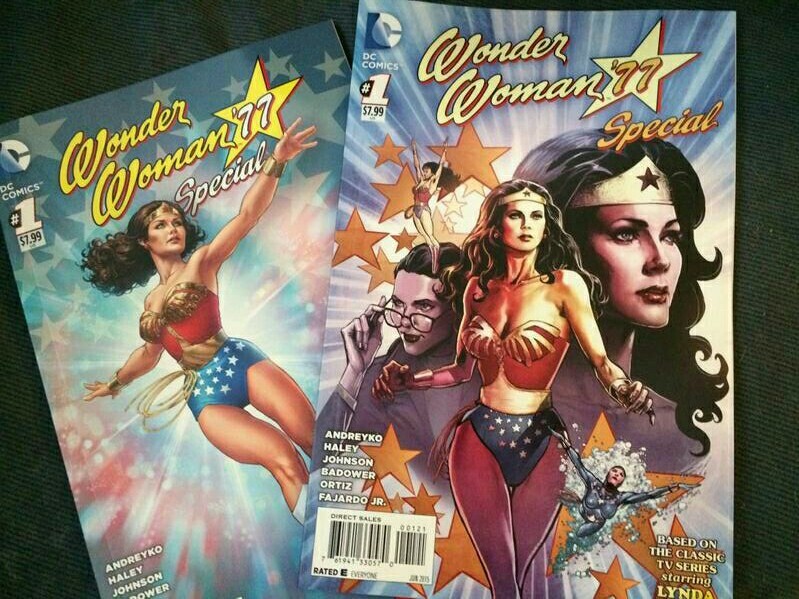 Nobody will have ordered this book to receive the variant sadly. Midtown sold out almost instantly. The Phil Jimenez cover is outstanding and portrays Carter in her best light. I have heard this is a 1:10 and have also heard it's a 1:25. I'm hoping a store owner can clarify. Twitter user @marcandreyko posted this to @philjimineznyc ‘s Twitter account tonight showing both cover's due out next week. It’s a beauty for sure. I added two regular copies to my pull list but sadly missed the variant on MTC while dealing with the Batman #40 fiasco this afternoon. I’m looking forward to reading this.